It seems like Dublin restauranteur Joe Macken cannot sit still. First Crackbird appeared as a pop-up fried chicken restaurant in Crane Lane, then it closed, it reappeared on a somewhat more permanent basis on South William Street, and it will close again shortly. 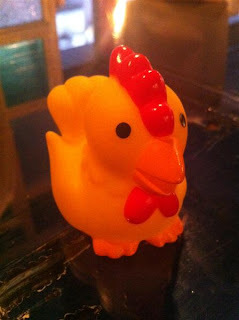 (You can read about my visit to the original Crackbird here). In the meantime, he has also launched Momma's Place in Temple Bar, and more lately, the grilled pizza joint Skinflint. Skinflint occupies the original Crackbird premises on Crane Lane, but the interior has been cleaned up to give a more open space. 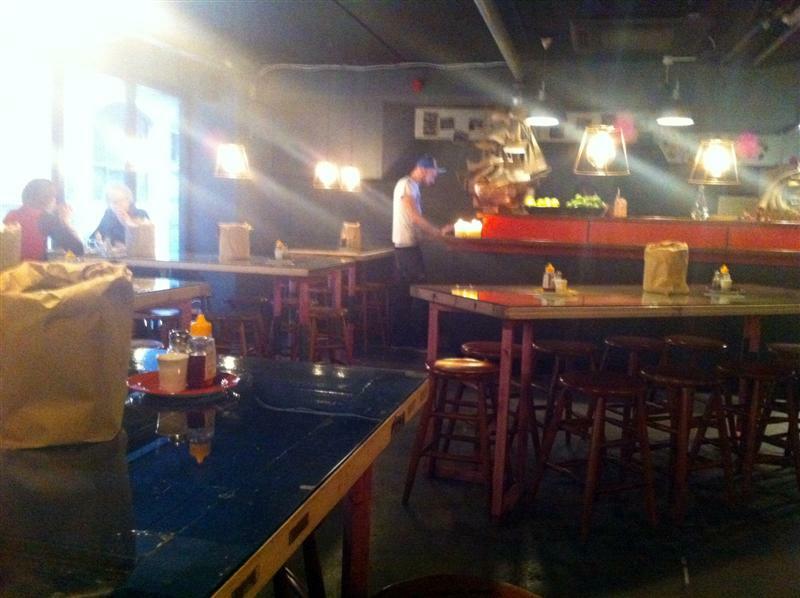 Tables consist of old painted wooden doors, laid flat on trestles and topped with thick sheets of glass. The menu comes printed on small sheets of thin brown paper and mainly features a set of grilled pizzas named after the mothers of various staff members. A few small snax options are also available as well as more of Joe's now-trademark home-made lemonades. Everything here is meant to be cheap and cheerful (hence the name! 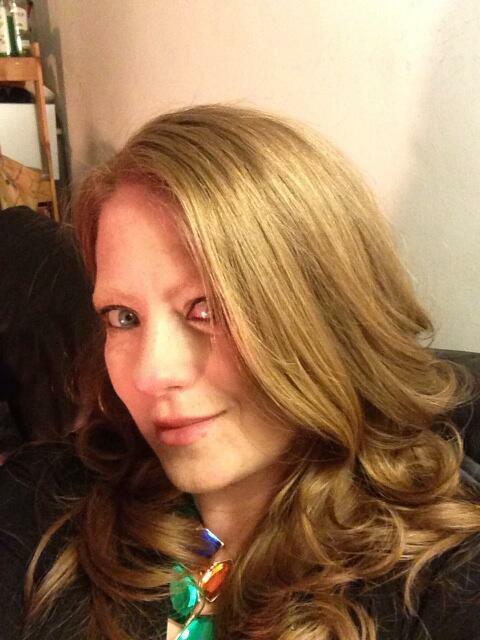 ), right down to the brown paper wrapped industrial rolls of tissue paper that take the place of napkins. (Given the stories I've heard of cloth napkin theft at Crackbird, the tissue paper must be a far more economical option). We kicked off with a plate of beetroot caviar - fantastically hued with thin strips of what I presume was pizza base to scoop it up (€4.24). Some salt was needed to bring this to life, but the earthy flavour of beetroot shone through. 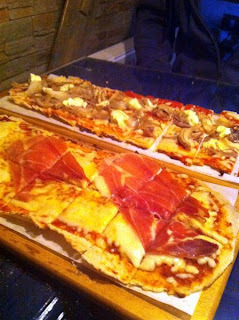 Skinflint's pizzas are made with Odlums Irish flour (no Tipo 00 here) and come served on long rectangular wooden boards. Our friendly server whipped out a mezzaluna and made quick work of chopping the pizzas into more manageable pieces. My Vonie pizza consisted of harissa, mozzarella, egg and serrano ham (€12.00). For me, the harissa did't quite work as a tomato substitute, but a drizzle of the chili-infused Firebee honey bought some sweetness to the pizza. Himself chose the Tess, a combination of pulled pork, fennel seeds, braised fennel and marscapone (€13.00). Although I'm not a fennel fan, this was a magnificent combination and I especially loved the creamy texture from the marscapone. We dined courtesy of the popular #tweetseats offer that frequently runs in Crackbird and Skinflint. 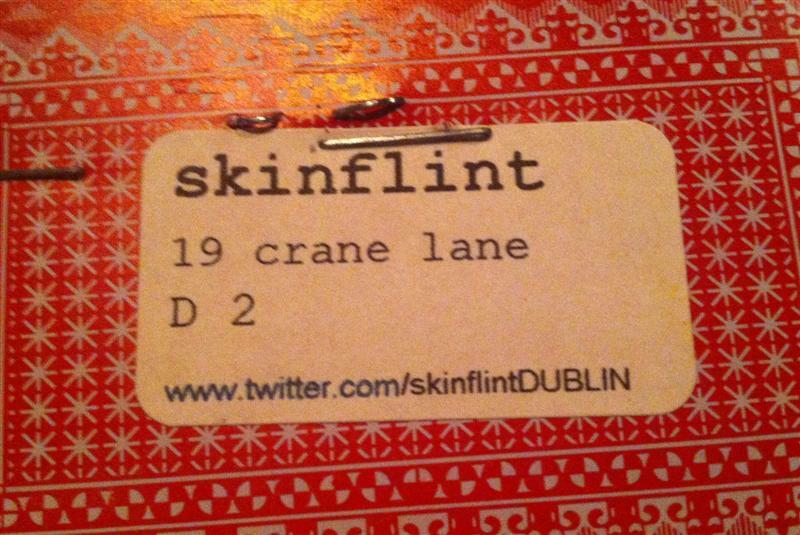 Simply follow @skinflintDUBLIN on Twitter and keep an eye open for the next #tweetseats offer. Secure yourself some places by following the rules, and you can enjoy one main course per person free of charge. Simples! 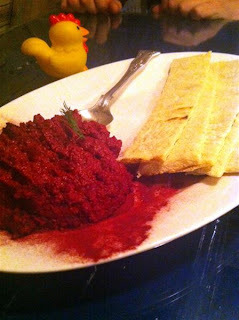 We paid for extras, so one beetroot caviar and some drinks bought our total to €9.20. Unfortunately, espressos were not available on the day we dined, but filter coffee is priced at just €0.99 a cup. It looks like Skinflint is yet another winning creation from the Joburger team. It's quick, tasty and cheerful. In addition to the pizza, there is one daily meatball special, which is promoted daily on Twitter. 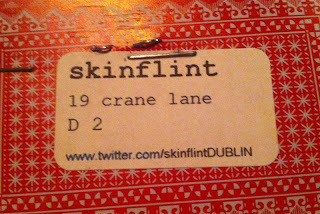 Skinflint doesn't have quite the same addictive quality that Crackbird possessed, but it does promote good Irish produce and the pizza sizes are more than generous. I don't know how long Skinflint will last (I'm sure Joe already has the next project planned), but I'd definitely recommend giving it a whirl while still around.